My car came to me in pretty good condition but has had a few paint jobs. A previous owner changed the colour to Med. Blue poly. I'm trying to decide which colour to use for a repaint and would appreciate seeing images of 1973 cars in medium aqua. I have looked online but some cars look a lot like the 71 -72 Grabber Blue (pic 1 below) while others look more like a green blue (pic 2 below). I've looked through the gallery but haven't spotted any 1973 4N paint code cars. Paint chips online seem to vary from company to company so I'm wondering if I go back to the original Medium Aqua if I'll be okay with the color or not. Any 73 aqua convert or coupe owners out there who haven't posted pics yet? 72 mach1;19731 Wrote: My car came to me in pretty good condition but has had a few paint jobs. A previous owner changed the colour to Med. Blue poly. I'm trying to decide which colour to use for a repaint and would appreciate seeing images of 1973 cars in medium aqua. I have looked online but some cars look a lot like the 71 -72 Grabber Blue (pic 1 below) while others look more like a green blue (pic 2 below). I've looked through the gallery but haven't spotted any 1973 4N paint code cars. Paint chips online seem to vary from company to company so I'm wondering if I go back to the original Medium Aqua if I'll be okay with the color or not. Any 73 aqua convert or coupe owners out there who haven't posted pics yet? 2 pictures from the same car , 1 picture taken in the full sun. 1 picture taken in the shade. The sun and shade pics make a big difference. 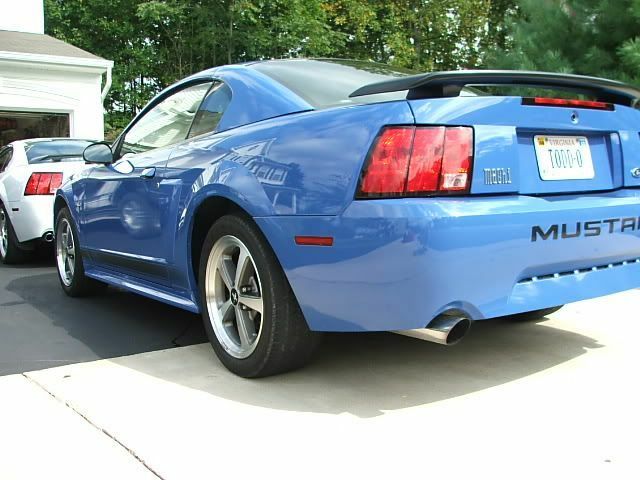 Our 04 Azure Blue Mach 1 shows up a different color in pics depending on light. 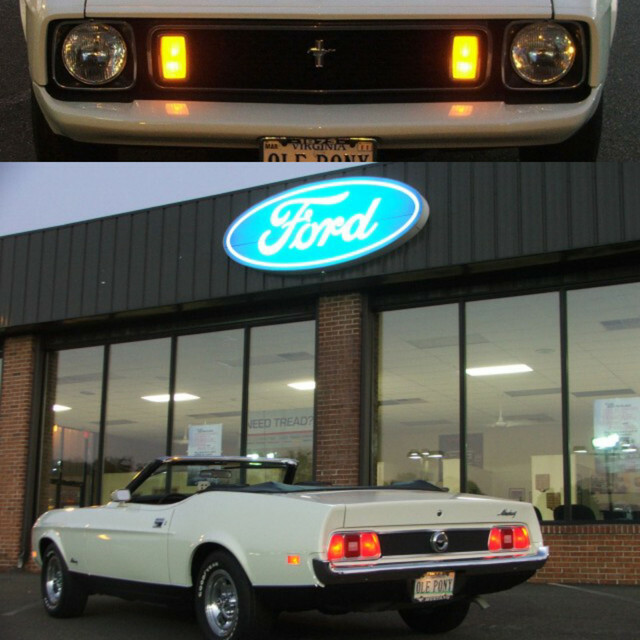 Mach1JB;19736 Wrote: 2 pictures from the same car , 1 picture taken in the full sun. Wow! I didn't think there would be that much different. It looks like two entirely different colors! Thanks for the input guys. Like Don, I didn't realize how different the colour would look in different light. Do you think the pic of the convertible I posted at the beginning of this thread is 1973 4N Aqua or did they use Grabber Blue from 71-72 on the 73 car? Opinions? 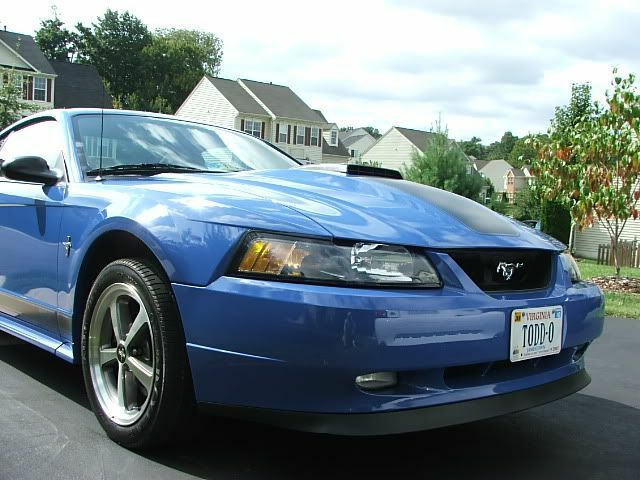 I just came across the photos of our Azure Blue 04 Mach 1 I mentioned in the earlier post. These pics were all taken within seconds of each other, but the angle of the camera/sun gives a totally different color in a couple of the pictures. In my humble opinion, med aqua, is one ugly color. 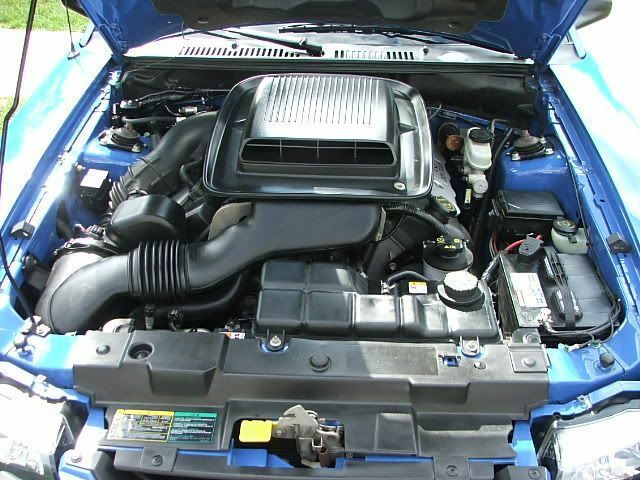 It is not as deep as grabber blue and has more green. When my mother bought my mustang new in 73 she had the choice or our green gold or med aqua and I hated it then as an 8 year old and still do! I have a 73 mustang paint chip card that I bought off ebay and the color is as bad as I remember it. I love grabber blue but something is off about the med aqua to my eye. The true color sits somewhere between the two pics you have. it is like the top one in lightness with the green of the second one mixed in, if that makes any sense. I can see if I can scan the color card but then we are still talking about monitor differences. let me know if you want me to try. Well greengold, my wife would agree with your opinion of 73 Med. Aqua. I'm still not sure myself but opted to try it this time around as it is the original colour. My paint guy found out from his supplier that it wasn't a widely used colour. 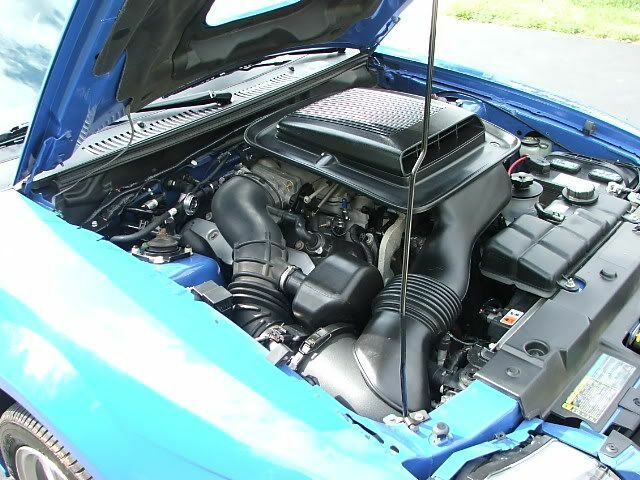 It was only used in 73 and only on Mustangs and Cougars in the US. I guess I won't see many others like it here in Canada. Thanks for the offer on the colour chip sample but its all good as the Sherwin Williams rep showed up at the body shop with a 73 paint sample book. 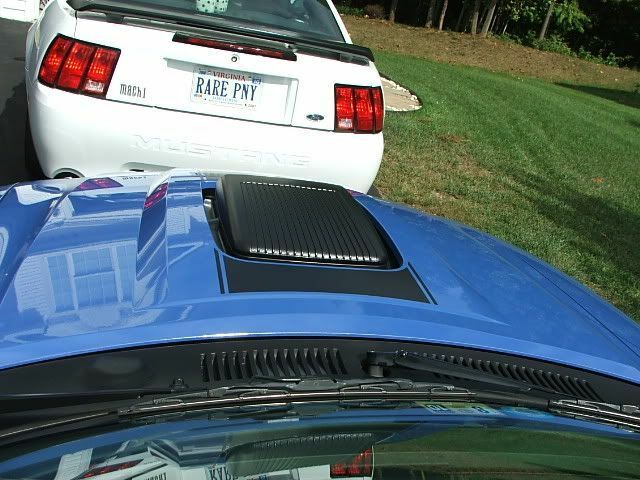 I've attached it and a shot of the underside of the hood taken on Friday. You are all quite right about the colour variations depending on light, cameras and monitor settings. The attached pic doesn't seem quite the same as it looked at the shop. Getting closer... I think I'm liking the aqua more and more.